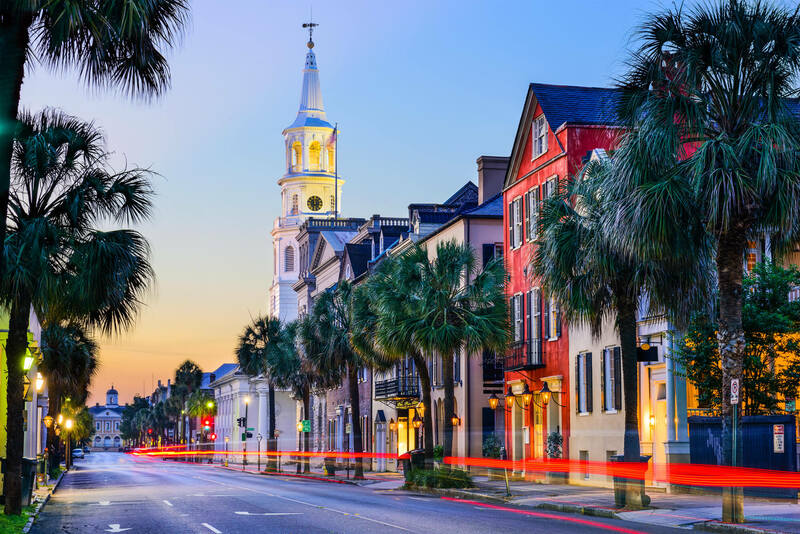 Charleston, South Carolina, USA cityscape in the historic French Quarter at twilight. 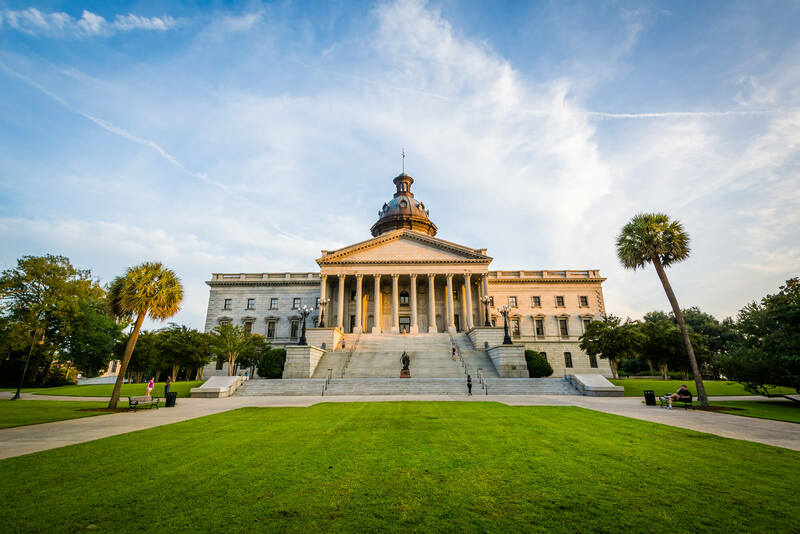 The exterior of the South Carolina State House in Columbia, South Carolina – USA. 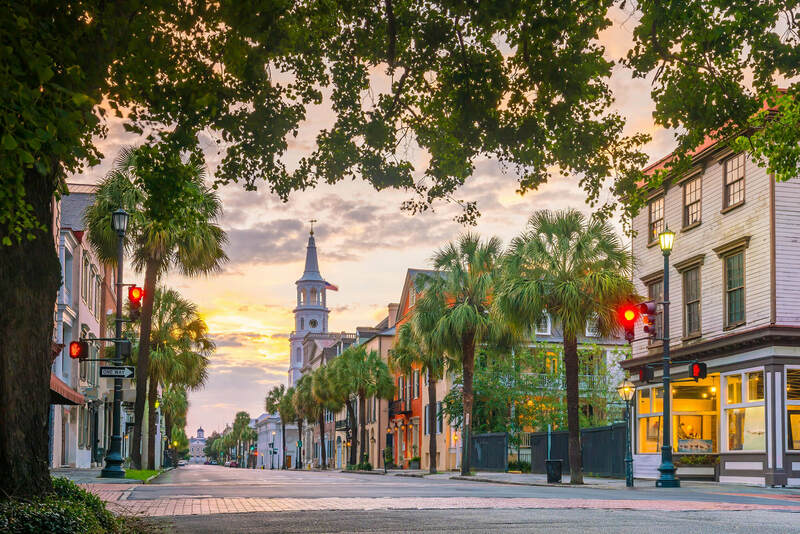 Historical downtown area of Charleston, South Carolina, USA at twilight. 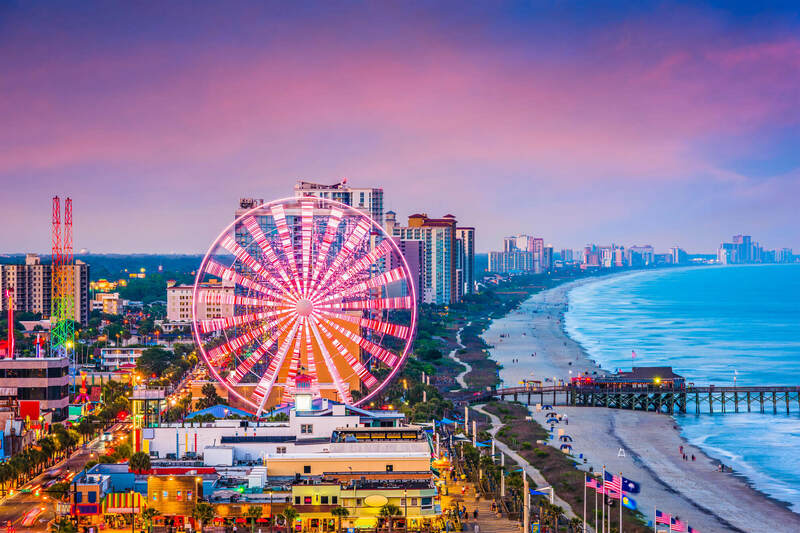 Myrtle Beach, South Carolina, USA city skylines. Where is South Carolina in the US?